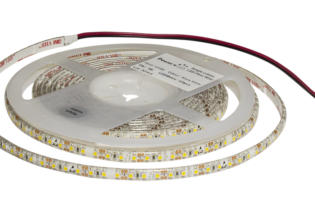 FFS8-S1210-12-120-IP20 is a 12VDC, Low Power soft White IP20 Rated Side Lit LED Flexible Strip suitable for commercial and retail internal lighting applications. Supplied as a 5 metre length on a reel. 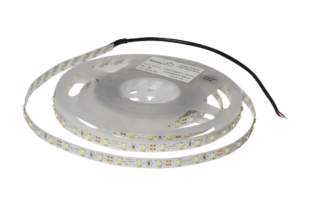 Our 12VDC, FS8-S1210-12-120-IP20 is part of our Edge LED Flexi Strip range. 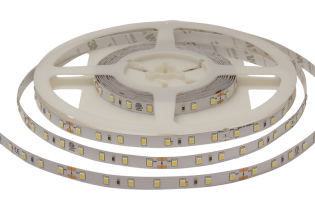 Incorporating a precise LED binning section to enable 100% consistent colour temperature from batch to batch incoprorating a 500lm lumen output. 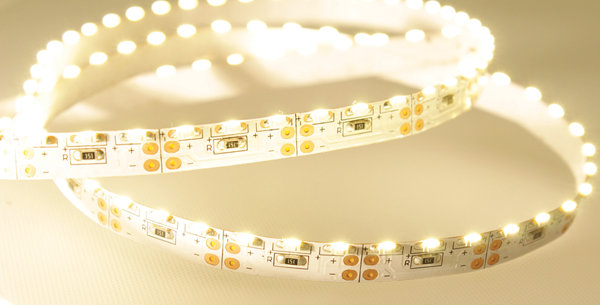 The high quality Epistar LED performs at 9.6W of power with 120 LEDs per metre and is cuttable every 25mm. 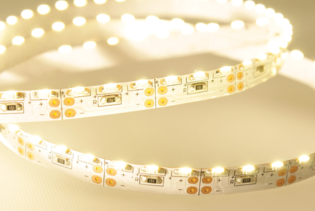 The LEDs are fitted along the edge of the strip and emits light from the side of the strip with a 120˚C beam angle, utilising a soft white light. 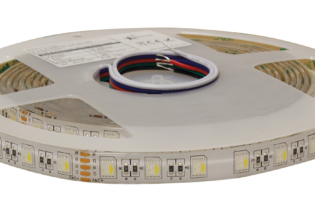 FS8-S1210-12-20-IP20 is suitable for commercial and retail internal lighting applications with tight spaces and curves. Designed with a 3M Adhesive sticky back, installation is even easier for a quick fitting and difficult applications. 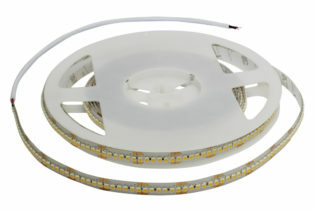 It is ideal for illuminating signage, letters and curved edges as well as residential areas. Performing with 2600K and an IP20 rating, allowing reliability and protection.